Beginning with classical music, Warren had studied classical composers from Bach, Beethoven, Mozart, Paganini, Brahms, Vivaldi and Shostakovich. Warren also studied ragtime music learning music from the songbooks of Scott Joplin, Harry Brewer and Geroge Hamilton Green. In Jazz, Warren has studied artist and composers from Charlie Parker, Miles Davis, Duke Ellington, Louis Armstrong, Freddie Hubbard, Clifford Brown, Herbie Hancock, Oscar Peterson, Milt Jackson, Bobby Hutcherson, Cal Tjader, Return to Forever, Weather Report, Wynton Marsalis and many others. Warren attended the Peabody Prepatory for eight years studying classical music with former Baltimore Symphony Orchestra member Leo LePage. During his high school years at the Baltimore School for the Arts, Warren studied with current Baltimore Symphony Orchestra member John Locke. After graduating from Baltimore School for the Arts in June of 1997, Warren headed north and enrolled at the Berklee College of Music in Boston,MA. During his time at Berklee, Warren studied with Carribean Jazz Vibraphonist Dave Samuels for seven of eight semesters.One semester was spent with vibist Ed Saindon. During his time at Berklee, Warren began to explore deeper into jazz. 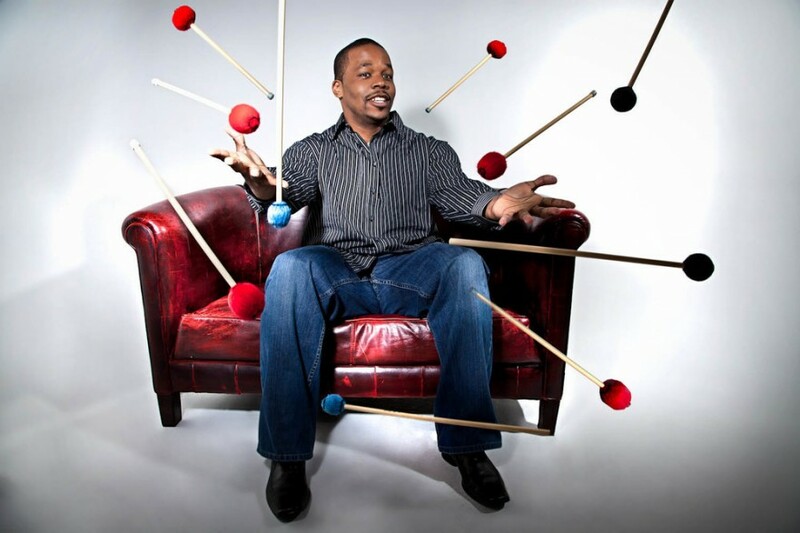 Some musicians who’ve helped Warren reach his musical goal during his time at Berklee were musicians such as Jeremy Pelt, John Lamkin, Darren Barrett, Wayne Escoffery, Richard Johnson, Kendrick Scott, Walter Smith, Jason Palmer, Rashawn Ross and many others. Through those musicians Warren becamse an active performer around the Boston area, gigging frequently on the Vibraphone, Drums and Piano. One of the highlights of Warren’s stay in Boston was co-leading a quintet with Boston-based trumpeter Jason Palmer at the historic jazz club Wallys Cafe. Warren was the house drummer at Wallys for two years, performing every Friday and Saturday. After two years of teaching at Berklee College of Music, Warren headed back to Baltimore to start his main goal of becoming a full time performing musician. Since leaving Berklee as a teacher, Warren has landed the piano duties performing in the Rachael Price Group. Recording and touring with Rachael, Warren has had the opportunity to tour throughout the entire Unites States of America. Warren is currently the drummer of choice for Alto Saxophonist Tia Fuller, who tours with internationally renowned pop star Beyonce Knowles. Warren is also a member of the Donal Fox Group which includes bassist John Lockwood and drummers Dafnis Preito and Terri Lyne Carrington. Also, Warren tour and perform with Bobby Watson’s “Live and Learn” Sextet, Karriem Riggins “Virtuoso Experience” and Christian McBride & “Inside Straight”. With these three groups Warren has traveled the world. Warren has performed throughout the United States of America, South America, Canada, Italy, Spain, Amsterdam, Rotterdam, Scotland, London, Greece, Singapore, Thailand, Jarkata, Bangkok, Tokyo, Paris, Moscow and many other countries. Warren has several recordings as a leader. Warren’s first two records are on the M&I label which is based in Japan. The first record is titled “Incredible Jazz Vibes” which features Mulgrew Miller on Piano, Vicente Archer on Bass and Kendrick Scott on Drums. The second record is titled “Black Wolf”. That record features Mulgrew Miller on Piano, Rodney Whitaker on Bass and Jeff “Tain” Watts on Drums. Warren has a self produced CD which is titled “RAW”. That record features Darren Barrett on Trumpet, Walter Smith on Tenor Saxophone, Jason Palmer on Trumpet, Plume on Alto Saxophone, Kris Funn on Bass, Peter Slavov on Bass, Lawrence Fields on Piano/Fender Rhodes and Charles “Dogg” Haynes on Drums. On “RAW” Warren performs on both the Vibraphone and Drums. The fourth recording is titled Warren “Chano Pozo” Wolf. On this recording, Warren performs on the Vibraphone,Drums/Fender Rhodes and Piano. This recording features Tim Green on Alto Saxophone, Lawrence Fields on Piano/Fender Rhodes, John Lamkin on Drums, Dana Hawkins on Drums, Kris Funn on Bass, Louis Cato on Electric Bass, Delandria Mills on Flute, Tabreeca Woodside on Vocals and Integriti Reeves on Vocals. Warren has recently signed to the Mack Ave recording label. A future record will be released in the near future.